Yolanda (Tomarchio) Groves of Westminster formerly of Randallstown and Granite. Passed away Wednesday, October 31, 2018. 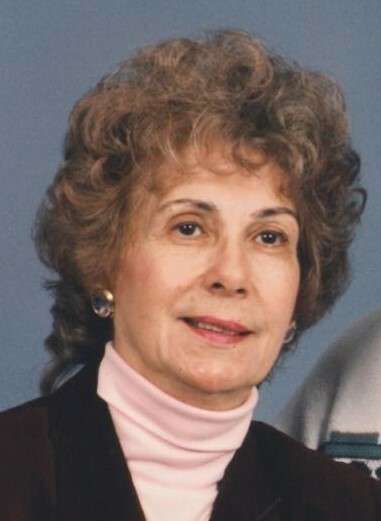 She is the Beloved wife of Stanley Donald Groves, Sr.
Mrs. Groves was born July 12, 1930 in Baltimore, MD the daughter of the late Sebastiano Tomarchio and Angela Carbone Tomarchio. She was a homemaker. Mrs. Groves was the former President of Ladies Sodality Holy Family Roman Catholic Church and worked at Holy Family Roman Catholic Church. She is preceded in death by children Donna Joy Groves and Todd Richard Groves and grandson Michael Nathan Groves. Brothers the late Joseph and late Alfred Tomarchio. Sisters the late Mary C. Smith and late Elena Cunningham, Joan Johnson, Dina Strauss, Frances Disantonstefano. Surviving are Children Stanley D. Groves, Jr and wife Cathy of Westminster, Timothy D. Groves and wife Debbie of Eldersburg, Michael P. and Groves and wife Karen of North Carolina, Yolanda Cole and husband William of Westminster. Sister Rose Tomarchio. 13 grandchildren 24 great-grandgrandchilden. A Funeral Liturgy will be said on Monday, November 5, 2018 11 AM at St. John Catholic Church, 43 Monroe St. Westminster, MD 21157. Interment to follow at Evergreen Memorial Park. In lieu of flowers memorial contributions can be made to Carroll Hospice & American Heart Association. To send flowers to the family of Yolanda Groves (Tomarchio), please visit our Heartfelt Sympathies Store.